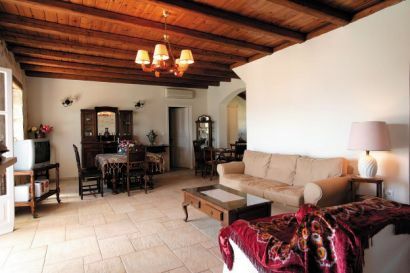 Pelagos Villa is a stunning stone villa with traditional features. 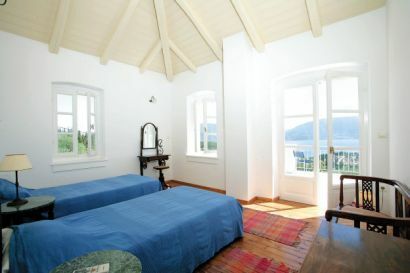 Wow, what a place – surrounded by olive groves and cypress trees but with the most wonderful sea views. Pelagos Villa has it all – based on the outskirts of Fiskardo it makes a wonderful holiday experience. With a large private swimming pool area with a terracotta terrace and wonderful relaxing loungers. Private balcony areas provide sea views from this traditional stone villa. The rooms are spacious and the property serves up plenty of classic style. We think you will love the Pelagos Villa as much as we do. Car Hire is included if you book this accommodation as part of a Thomson holiday package! 1. You can check the Pelagos Villa’s availability and package prices at Thomson Holidays. Car Hire included if booked as part of a Thomson package! As Kefalonia specialists Thomson frequently have the best holiday / flight availability around the island. 2. You can also book and check prices at Pelagos Villa with Simply Travel. Kefalonia is a beautiful island and is worth exploring by car if you can. To find the best car hire prices we have teamed up with a car hire price engine: Kefalonia Car hire.